Urban Planning is a public sector occupation. According to the US Bureau of Labor Statistics, nearly 80% of urban planners in the United States work for governments, more than 66% work in local government.1 This fact may not be surprising given the often community-wide impact of planning work, but it means that the health and vitality of the planning profession depends largely on the health of local governments. And right now, America’s local governments are facing a severe talent crisis. While urban planners are comparatively well-off – increasing urbanization in the U.S. will lead to an expected 19% increase in the demand for urban planners between now and 2018 – most other local government sectors are facing a mass exodus of their most experienced workers without a sufficiently large pool of talented replacements to draw from. The fiscal and operational challenges facing cities are more difficult than ever before; yet the brightest minds are in short supply. As this crisis threatens to destabilize local governments across the country, it is more important than ever to aggressively recruit the most talented people to solve our municipal challenges. Many of the most innovative urban planning ideas begin as broad visions devoid of regulatory context: “Wouldn’t it be nice if people could walk more in this part of town?” or “How might we create more vibrant public spaces?” or “How might this community achieve higher usage rates of public transportation?” These are questions that New Urbanists have continuously sought to answer. However, urban planning does not move forward in a regulatory vacuum. The challenge of planning lies in transforming these visions into realities. This metamorphosis can only be achieved through an intimate, and often lengthy, give-and-take with local governments and the people that run them. Like a caterpillar entering its cocoon before being reborn as a butterfly, so a planning vision must weather the halls of city government before emerging as a reality. Who, exactly, are the people who influence planning at the local level? They include planning department employees, planning and zoning commissioners, building code inspectors, infrastructure engineers, environmental impact analysts, transportation analysts and many others depending on the needs of a particular city, community or project. Beyond the staff directly involved in evaluating proposed development projects, mayors, city managers, council members, and other city officials affect the process by determining local economic policy, property tax rates, and the amounts of impact fees, permit fees, and other fees or taxes that development projects must shoulder. Both elected and appointed city leaders, across agencies, also produce comprehensive community plans, decide the priorities of capital improvement programs, and determine official zoning and subdivision rules.2 Considering the intricate web of regulatory steps that any proposed development must survive, turning a planning vision into a reality can be a herculean task. And that does not even include the outside challenges developers and planners face, like financing a major project. Moreover, regional, state and federal governments impose constraints on the planning process that can limit the ability of cities to pursue planning initiatives. For example, states and regions often produce transportation plans governing the development of road networks across a region and infrastructure plans with standards for water resources, wastewater treatment, air quality, parks, and transit. State governments and the federal government also control important purse strings. For example, the 2009 American Recovery and Reinvestment Act made enormous sums of money available to state and local governments for “shovel-ready” projects. Local officials have to compete for such money, often by meeting detailed Federal criteria and marshaling local political forces. Without competent, proactive and forward-thinking municipal employees, deserving communities can miss out on important financing that can make or break a needed planning initiative. The point to take away from this laundry list of governmental actors and regulation is that the influence of government workers on the planning process is enormous. And a malfunctioning local public sector can make the job of urban planners extremely difficult – and significantly more expensive – to accomplish. The tangled web of overlapping plans and regulations can only be navigated – and reformed – by a vibrant and talented supply of knowledgeable local government workers across all fields. Unfortunately, America’s city governments face a talent crisis. Although the planning sector is expanding, the majority of local government administrators – not the politicians, but the people who do the day-to-day work that keeps cities running and public services on track – either could retire today or will become eligible for retirement within the next five years.34 This looming personnel exodus threatens the ability of cities to function. If left unchecked, the consequences of an aging municipal workforce could be devastating. First, in a few short years there simply will not be enough people to do the job. Even accounting for the inevitable downsizing and shrinking head-counts that will be lasting effects of the recession, the out-migration of experienced baby boomers will leave numerous vacancies – far too many to be filled by the existing pipeline of talent entering local government. Without adequate staff, cities will not be able to function, much less be efficient and effective stewards of public resources. While an occasional shake-up of the status quo has benefits, the current disruptive human capital crisis threatens consequences that only the skills and innovative thinking of America’s brightest talent can overcome. Second, an outflow of experienced personnel may lead to the permanent loss of institutional knowledge. The lessons learned and experience acquired after decades of public service are extremely valuable, as relationships and job-specific expertise can only be built over time. Loss of that institutional memory will significantly weaken the knowledge base of municipal agencies. Now that so many government employees are nearing retirement, the threat of a devastating “brain drain” is becoming an imminent reality. Third, the aging workforce threatens to topple government finances. Municipal budgets across the country are under enormous pressure. The decline in tax revenues due to the recession can be blamed for some of the trouble. However, the long-term strain on municipal budgets comes from pension and benefit obligations promised years ago. Americans are now living longer than ever. Government workers who retired over the past few decades, and those who will retire in the next few, will draw on their pensions and health benefits for much longer than cities budgeted for.11 Besides consuming increasingly large shares of municipal budgets, these pension obligations limit governments’ flexibility to address all of their other responsibilities. To meet their obligations, local governments will have to continue to cut services, shrink programs, and defer or abandon new initiatives. Furthermore, strained budgets could result in cost-shifting from the public to the private sector, driving up the costs of a project for private sector planners and developers.12 Planners – who must inevitably work closely with local governments whether they are employed by them or not – will find cities more financially strapped and inflexible than ever before. There are many reasons why young college graduates avoid municipal jobs. First, most college students know little about what government workers actually do, and the little they do know worries them. Many equate working in government with either being a politician or being stuck in an inflexible bureaucracy and endless red-tape.1415 Today’s younger workers want to work in meritocracies that value innovation and creativity and provide opportunities for continuous learning. They crave positions that challenge them, where they can be partners in the enterprise from day one, and that provide a good work-life balance.1617 Few think of municipal agencies as providers of this environment. Third, young people simply are not being asked to join government.22 Worse, many city governments’ civil service rules make it nearly impossible for people right out of college to join their workforce by requiring several years of experience for entry-level jobs. Compounding the problem, college graduates now can, and frequently do, move around freely to chase opportunity. Being less rooted in their local communities discourages them from investing time and effort in tackling local challenges. What does all of this mean for Urban Planners? This growth might be welcome news to professional planners, but it poses a serious challenge to local governments. Not only do cities lack bench strength among their non-planning staff, most also lack viable long-term succession and recruitment plans.3334 Combine an increased demand for city services, a mass exodus of experienced workers and a lack of incoming talent, with no plan for how to deal with this challenge, and you have a perfect storm. Urban planners are caught right in the middle. Weakened local governments translate into a weakened support-system for urban planning initiatives. Our national, non-partisan nonprofit, City Hall Fellows, offers one solution to the personnel challenges facing local governments. City Hall Fellows has found an effective, cost-efficient and highly-impactful way to convert college students’ renewed interest in public service into their taking responsibility for the challenges in their hometowns. 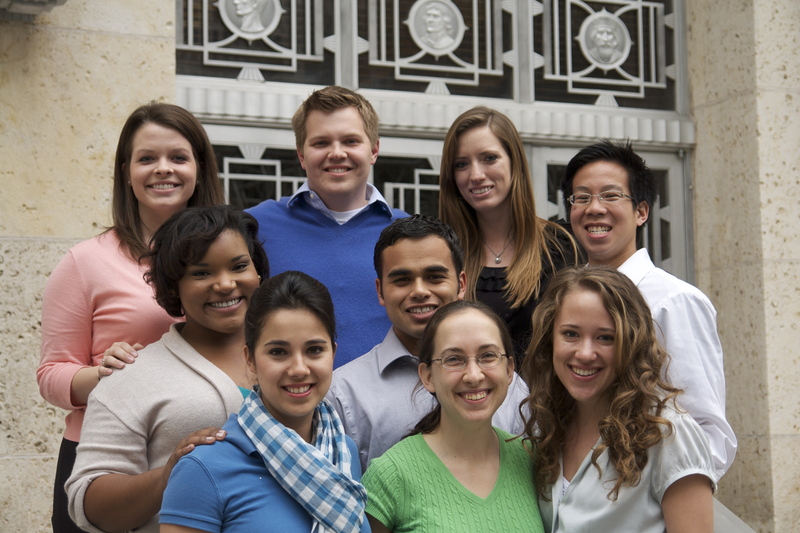 Partnering with city governments, City Hall Fellows runs a Teach-for-America-style national service corps program that includes more than 300 hours of training on local government policy – how decisions are made, how local policy is designed and implemented, and how programs are evaluated. The year-long, cohort-based Fellowship integrates this intensive training with hands-on, full-time professional experience working on substantive projects for city agencies. 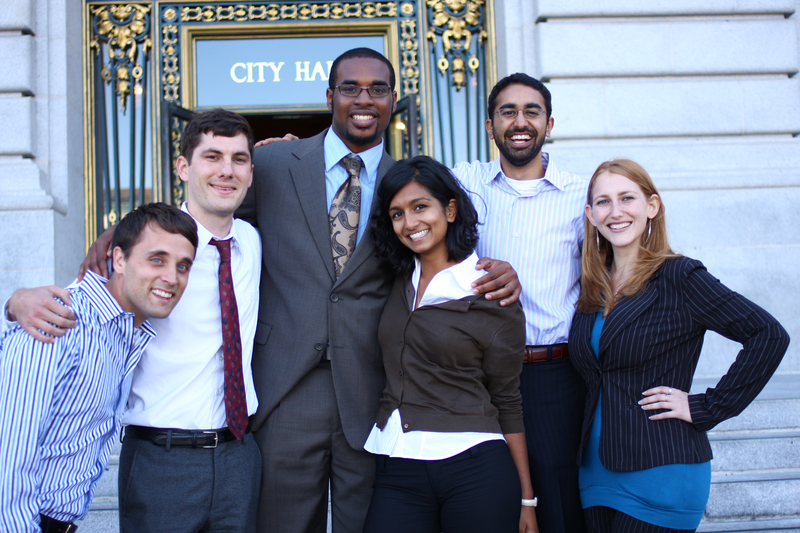 City Hall Fellows puts America’s best and brightest recent college graduates to work directly on many of the challenges cities face – including many of the challenges affecting urban planners. For example, a recent Fellow served in the Houston Planning and Development Department. His mission for the year: tackling the problem of institutional memory loss in his department. As the largest city in the United States without zoning, Houston has a very unique approach to regulating planning. In the absence of a zoning ordinance Houston utilizes a variety of stand-alone nuisance ordinances that curb the most egregious land-use incompatibilities while preserving the enormous development flexibility that comes from limited regulation. His work was a key component of a forward-looking department initiative led by senior management to arm current and future planners with knowledge of the department’s past. A comprehensive historical review of Houston’s development ordinances – why the city passed them, how they have been amended over time, and the kinks that may still exist in their implementation – will allow the department to preserve and learn from its history and from the experience of its most senior employees, even as they retire. But City Hall Fellows alone cannot prevent the potentially devastating blow to our cities – or to occupations like urban planning that depend on cities’ efficacy – from the enormous municipal talent crisis. Most importantly, governments must recognize and prioritize their personnel challenges and place greater emphasis on recruiting and retaining new talent. First, cities must overhaul hiring and recruitment practices by removing unnecessary barriers to entry for promising talent. For example, the City of Houston currently requires three years full-time experience for many entry-level positions. This rule effectively precludes top graduates from Houston’s six major universities from working for the city right after college. Second, the public sector needs to market itself more effectively to college students. While strained municipal budgets may preclude offering pay packages on par with the private sector, public sector workers still enjoy benefits that can more than compensate for the cash discrepancy. For example, young public sector employees get to work at the cutting edge of public policy – and have a real impact on their communities. Likewise, in many cities, public sector workers enjoy more flexible working hours and more paid vacation days than their private sector counterparts.35 As noted above, recent polls show that this combination of intellectually stimulating work that directly impacts the public good combined with generous non-cash benefits is very appealing to today’s college students. Yet, few college students know that local government employment offers these opportunities. Cities can go a long way towards solving their brain drain problem simply by raising college students’ awareness of what working for cities is really like. Social media platforms allow cities to cost-effectively reach tens of thousands of prospective new college-age workers. Third, senior city workers should actively ensure that their knowledge and experience is not lost. Before retiring, they should document the most vital institutional memory. They should also mentor younger employees in their agencies, preparing them for leadership. Finally, public sector urban planners, ordinary citizens and private sector workers must realize that the municipal talent crisis directly impacts their livelihoods: professionally, financially, and in the quality of service that their government can provide. While private corporations are responsible to their owners and stakeholders, the public sector can only be held accountable by an informed and engaged citizenry. All of us have a responsibility for ensuring our cities continue not just to function, but also to effectively and efficiently serve our needs. An awareness of the talent crisis local governments face must be translated into momentum for the innovation and restructuring required to ensure a healthy future for America’s cities. Left unchecked, cities’ human capital crisis could undermine even the best-laid urban plans. Talented and innovative people are the key to solving governments’ most intractable problems. Awareness of the brain drain plaguing the public sector – and consequently the urban planning profession – is slowly growing. But, for change to happen, the chorus needs many more voices clamoring for reform. Urban planners in particular, as an occupational group overwhelmingly concentrated in the public sector, must be on the front lines of this campaign. Planners must demand that their municipal governments prioritize the talent crisis and address it as swiftly as possible; and they must be willing to partner with local governments and non-profits like City Hall Fellows to incentivize talented younger workers to enter public service. Without a steady pipeline of talented workers who can think more creatively than ever before about municipal government’s challenges and how to solve them, the future of America’s cities looks bleak. Armah IV, Niiobli, et al. “Making Public Service Accessble: Opportunities to Improve the Hiring Process for Our Next Generation of Municipal Employees.” A Report by the Houston City Hall Fellows, July 22, 2009. Benest, Frank, Ed. “Preparing the Next Generation. A Guide for Current and Future Local Government Managers.” International City/County Management Association, 2003. Council for Excellence in Government. “Calling Young People to Government Service: From ‘Ask Not…’ To ‘Not Asked’.” a Peter D. Hart Research Study for the Council for Excellence in Government, March 2004. Economist. “A tough search for talent.” 31 Oct 2009. Kotkin, Joel. The Next Hundred Million: America in 2050. Penguin Press, 2010. Miles, Mike E., et al. Real Estate Development: Principles and Process. 4th Edition. Urban Land Institute, 2007. “National Leadership Index 2009.” Center for Public Leadership, John F. Kennedy School of Government, Harvard University. Partnership for Public Service. “Poll Watch: Public Opinion on Public Service.” May 2, 2005. Puentes, Robert. “How Are We Growing? Where Are We Going? : How We Will Live and Move in 2050.” Presentation at American Transportation Association. Sept. 19, 2007. “A Tidal Wave Postponed: the Economy and Public Sector Retirements.” Center for State and Local Government Excellence. May 2009. 12 Miles, Mike E., ch. 13. 15 Benest, Frank, Ed. “Preparing the Next Generation. A Guide for Current and Future Local Government Managers.” International City/County Management Association, 2003. 16 Armah IV, Niiobli, et al. “Making Public Service Accessble: Opportunities to Improve the Hiring Process for Our Next Generation of Municipal Employees.” A Report by the Houston City Hall Fellows, July 22, 2009. 19 “National Leadership Index 2009.” Center for Public Leadership, John F. Kennedy School of Government, Harvard University. 21 Council for Excellence in Government. “Calling Young People to Government Service: From ‘Ask Not…’ To ‘Not Asked’.” a Peter D. Hart Research Study for the Council for Excellence in Government, March 2004. 22 Partnership for Public Service. “Poll Watch: Public Opinion on Public Service.” May 2, 2005. 24 Bender, Keith A. & John S. Heywood. 26 Bender, Keith A. & John S. Heywood. 30 Kotkin, Joel. The Next Hundred Million: America in 2050. Penguin Press, 2010. 31 Puentes, Robert. “How Are We Growing? Where Are We Going? : How We Will Live and Move in 2050.” Presentation at American Transportation Association. Sept. 19, 2007. 32 U.S. Bureau of Labor Statistics. 34 Kellar, Elizabeth, et al.